On November 8, Donald Trump became President-elect of the United States of America. Regardless of one’s political views, this particular election has prompted a deep and dividing dialogue about the future direction of our country. On December 4, Sheila Bugdanowitz, CEO of Rose Community Foundation, passed away. To say this was a loss for the state of Colorado and more locally, for Denver, is an understatement. Although unrelated, both occurrences left many of us with a strong desire for resolve, optimism and courage – perhaps summed up by one word: hope. Like anyone who has experienced loss, converting hopelessness to genuine confidence in a better tomorrow takes just about every tool in the toolbox. As our group met each month to fine tune our funding priority, assess our appetite for risk and ultimately identify our objectives, it became evident that demand for that hope was greater than supply. Or was it? Our answer lies in the Jewish values of l’dor v’dor , which we interpreted to mean teaching traditions and sustainable skills from one generation to the next, and v’hechezekta bo, which to us meant strengthening those in need to help themselves become self-sufficient; in other words, giving that is empowering, self-sustaining and achieves long-term impact. We knew that by empowering others and creating tangible steps for self-sufficiency, we could begin to break the intergenerational cycles of poverty and its related afflictions that plague the wellbeing of our respective communities. Our group identified healthcare and education as highly valued tenets of Judaism, and providing a sustainable pathway in which to obtain these became our focus area. With finite resources to disperse, our collective sentiment was to support several non-profits working in these areas. In the end and after meaningful deliberation, I am pleased to report that our recipe allowed us to meet the funding requests of multiple organizations. But perhaps more importantly, I believe our group provided something of even greater value: the feeling of hope – hope for a better, brighter and healthier future. We also felt it was important to honor Sheila Bugdanowitz’s legacy, which lives on in thousands of people she touched through her life’s work. In memory of Sheila, our group alsoprovided a memorial donation to Jewish Family Service, one of the organizations she held close to her heart. Racial and economic disparities and inequity in access to health and education lead to disparities in outcomes. Furthermore, health and education outcomes are interrelated. Low-income people and minorities are often under-served and have difficulty accessing the support and services they need to live healthy lives of dignity and to achieve economic self-sufficiency. These groups also face challenges securing these supports and services for their children, contributing to an intergenerational cycle. The purpose of our philanthropy is to fund educational programs and projects that transform the lives of individuals and their families to be empowered, self-sustaining members of their family and community. Program and project topics can include, but are not limited to: parenting, financial literacy, career counseling, job training, job-skill development, mentorship, early childhood education, health education and literacy, healthy living, mental health, and leadership. Warren Village (Denver) $10,000 to support the Kid’s Club program, which provides enrichment to children ages 7-18 year olds and support for their single parents as they work to achieve greater self-sufficiency. Florence Crittenton Services (Denver) $10,000 to the Early Childhood Education Center and Student and Family Support Program, which helps teen families to break the cycle of poverty through education, health and wellness and social asset building. Girls Inc. of Metro Denver (Denver) $7,729 to support the Academic Success program, increasing science, technology, engineering and mathematics (STEM) education and access to career and post-secondary opportunities for middle and high school girls. Growing Home (Westminster) $15,000 to support the Seedlings Early Childhood Program, providing education in early childhood development and well-being to families living in poverty. 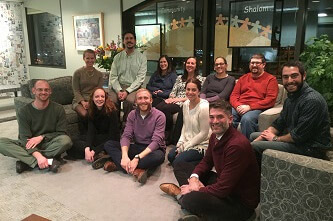 Jewish Family Service (Denver) $10,000 in memory of Sheila Bugdanowitz to support the Family Safety Net program, which provides supportive services delivered with dignity and respect to help people in economic crisis regain self-sufficiency.